Feb. 9, 2010: Toyota has recalled more than 400,000 Prius and other hybrid cars to replace software that controls the antilock braking system. Toyota officials went to Japan’s Transport Ministry earlier Tuesday to formally notify officials the company is recalling more than 400,000, Prius and other hybrid cars, including the Lexus HS250h sedan, sold in the U.S. and Japan, and the Sai, which is sold only in Japan. About a dozen class action lawsuits against Toyota have been filed, including eight since the end of January. There have also been several wrongful death Toyota lawsuits filed. The cases claim that Toyota knew or should have known about the defective gas pedal problems, yet they sold these vehicles to the public, regardless. Update – Feb. 5, 2010: Toyota Motor Corp. is considering a recall of its popular 2010 Prius hybrid in the U.S. and Japan to address complaints about slipping brakes after transportation authorities in both countries ordered investigations. In the United States, the Transportation Department began its investigation after receiving 124 complaints about the 2010 model. The complaints allege temporary loss of braking ability when traveling over uneven road surfaces, potholes or bumps. The National Highway Traffic Safety Administration will lead the investigation. Update – Feb. 3, 2010: Toyota owners should stop driving cars affected by the recall, take them to dealers, says U.S. transportation secretary. Transportation Secretary Ray LaHood is now telling owners of recalled models to park them and not drive them until they can be brought into dealers to have their accelerator pedals repaired. In addition, Transportation is probing to see if other automakers might have the same problems as Toyotas if they share similar pedal systems. Toyota has recalled more than 3 million vehicles due to faulty accelerator pedals that can get stuck, causing vehicles to speed up unintentionally. Toyota has instructed drivers who experience a stuck pedal to brake with “firm and steady” pressure. This recall covers 2.3 million cars and trucks from 2005 through 2010. This is separate from a recall in November 2009, in which 4.2 million vehicles were recalled due to a design flaw that could cause the gas pedal to become trapped under the floor mat. 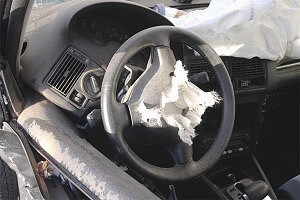 Toyota continued to receive pressure and reports of unintended acceleration and stuck pedals even in cases where the floor mats had been removed. • It also covers the 2009-10 Pontiac Vibe, a mechanical twin to the Matrix. • It does not include the Prius hybrid, which was in the November recall, or Lexus or Scion models.